Schopenhauer believed that through contemplation of the Will, we can apprehend the ultimate principle of the universe. 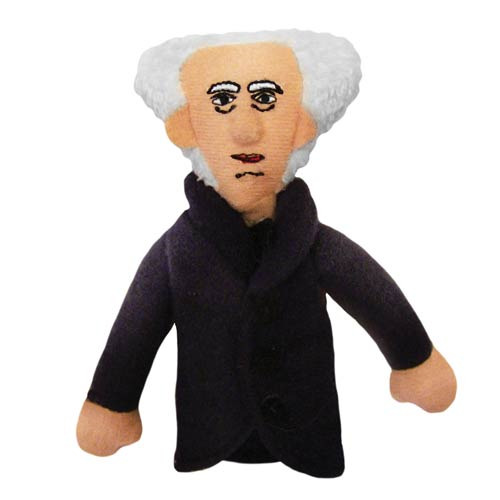 Through contemplation of the Arthur Schopenhauer Plush Finger Puppet Magnet, we can apprehend the ultimate principle of fun. On your finger, he's a puppet; on your fridge, he's a magnet; in your puppet collection he's tormented by desire, but aren't we all? Measures approximately 4-inches tall. Ages 5 and up.